A Dutch university (Wageningen University) prohibited a PhD student from thanking God in his thesis acknowledgments. The student, Jerke de Vries, wrote, “My Father God, thank You, it’s the most wonderful thing to be loved and honoured by You.” The university refused to grant him his thesis unless he deleted this reference to God. The university argues that science should be independent from politics or religion (political statements are also banned). The student refused to delete God from his acknowledgments and instead tore the whole page of acknowledgments out altogether. Pope Francis has made a couple of statements in response to the recent Charlie Hebdo killings that seem hard to reconcile. On January 13th he spoke in Sri Lanka and informed the world that religion must never be used to justify violence. Today he spoke en route to the Philippines and is reported as saying that making fun of religion was unacceptable and that anyone who does so can expect ‘a punch in the nose’. The punch in the nose comment is of course, in effect, an appeal to religion to justify violence. The underlying assumption here is that religion is deserving of respect and that at least some (low-level) violent responses are justified in response to displays of disrespect towards religion. The discipline of theological bioethics is in trouble. Especially as theology continues to morph into religious studies in many university departments, “social ethics” now swallows everything in its path—with almost all questions of ethics becoming questions exclusively about history, sociology and/or economics. Furthermore, especially in the Roman Catholic world, academic and ecclesial politics push against academics working on issues like abortion, euthanasia, health care distribution, and artificial reproductive technologies. After all, regardless of the position one takes on these issues, it is bound to run afoul of one of two orthodoxies: that of the Church or that the secular academy. Especially if not yet established in one’s academic career, it can be dangerous to be branded a heretic by one of these power brokers. Unsurprisingly, good universities are struggling even to find marginally viable candidates for excellent bioethics jobs. Most theological ethicists have decided not to write on bioethics. But there is another reason that theological bioethics is in trouble. Today’s centers of power in academic and clinical bioethics (at least in the developed West) generally don’t take theology seriously. I recently attended the annual meeting of the American Society of Bioethics and Humanities and was dismayed—though, I must say, not surprised—to see that a grand total of zero papers had an explicitly theological argument. Those of us who do theological bioethics know that, in order to get a paper accepted by today’s ASBH, one is forced to hide or translate one’s theological commitments. The reason I was able to present this year was because I was invited by the Christian theology interest group—the one place at ASBH (during the evening, apart from the formal sessions) where theologians can actually present and discuss theology. 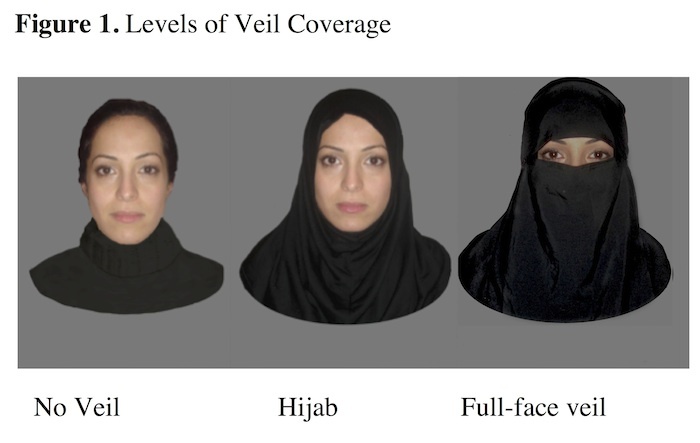 As recent media coverage has documented, Muslim veils are a hot button issue at present. Cryonics – the practice of freezing people directly after death in the hope that future medicine can resuscitate them – is controversial. However, British Columbia is the only jurisdiction with an explicit anti-cryonics law (banning advertising or sale of cryonics services), and a legal challenge is apparently being put together. The motivations for the law appear murky, but to some this is a rights issue. As Zoltan Istvan notes, “In a world where over 90 percent of the people hold religious views of the afterlife, cryonics could become a noteworthy global civil rights issue. ” Maybe the true deep problem for getting cryonics accepted is that it is a non-religious afterlife, and we tend to give undue privilege to religious strange views rather than secular strange views. I had the opportunity, a few months back, to look through some old poems I’d written in high school. Some, I thought, were pretty good. Others I remembered thinking were good when I wrote them, but now they seem embarrassingly bad: pseudo-profound, full of clichés, marked by empty rhetoric instead of meaningful content. I’ve had a similar experience today with my collection of articles here at the Practical Ethics blog. And Oh, the things I have learned!